Other people at this age feel they do sport when they play Bridge. Carlos Soria is climbing eight-thousanders. The Spaniard is 75 years old, last May, he stood (with bottled oxygen) on top of the 8,586-meter-high Kangchenjunga. Thus Carlos is holding the age record on that mountain like he already does on K 2 (65 years), Broad Peak (68), Makalu (69), Gasherbrum I (70) and Manaslu (71). 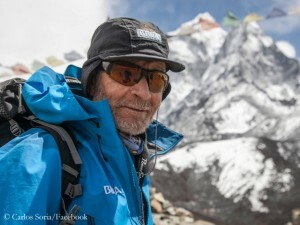 He has now summited eleven of the 14 eight-thousanders. Now he is trying again to climb the 8,027-meter-high Shishapangma in Tibet. “It’s just my year, and it would be a shame to let end my run of luck”, says the fit senior. In 2005 Soria reached the lower Central Summit (8008 meters). Last year, he had to turn back in Camp 3 at 7400 meters due to bad weather. Besides Shishapangma the eight-thousanders Dhaulagiri (8,167 meters) and Annapurna (8,091 meters) are still missing in Carlos’ collection. 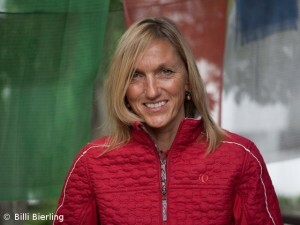 The German climbers on Shishapangma are not chasing the age record. Above all, Benedikt Boehm, Sebastian Haag and their Italian friend Andrea Zambaldi want one thing: to be fast. Their project is challenging. 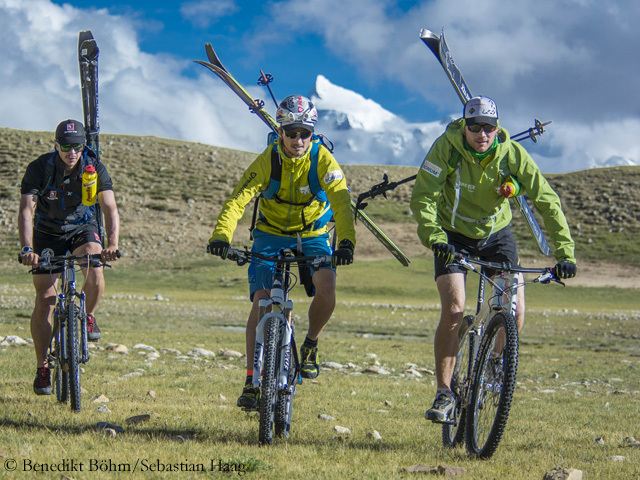 Speed climb to the summit of Shishapangma, skiing down, riding on mountain bike to Cho Oyu, speed climb up to the 8,188-meter-high summit and again skiing down – the whole thing in only seven days. That sounds like aching muscles or even calf cramp. “Most of high-altitude mountaineering is suffering,” says Benedict (in the video below).”It’s not a holiday at all.” The three ski mountaineers were the first climbers on Shishapagma who pitched their tent at the Advanced Base Camp (ABC) at 5,600 meters this fall season. Meanwhile they have been joined by other climbers. 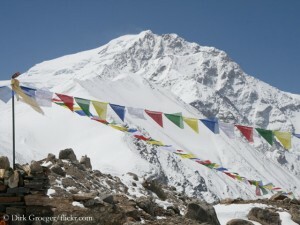 Shishapangma is the lowest of the 14 eight-thousanders. 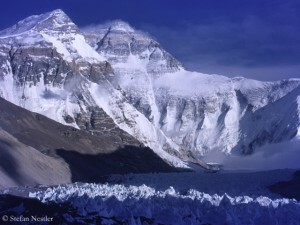 The mountain was first climbed in 1964 by a Chinese expedition. So far, 320 mountaineers have reached the Main Summit, 17 of which were women. 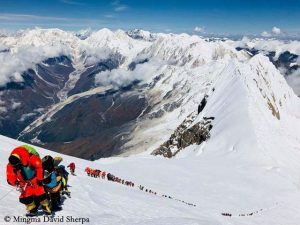 More than 800 climbers stood on top of the Central Summit.